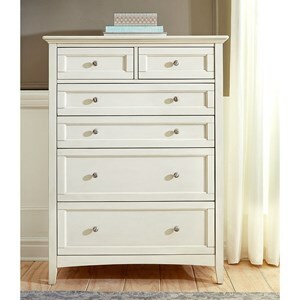 Two large drawers offer storage for clothing and bedding. 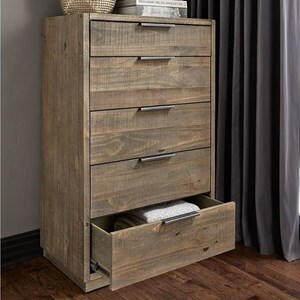 Four smaller side drawers are ideal for organizing delicate items and accessories. A door cabinet provides unique cabinet space to store larger items. 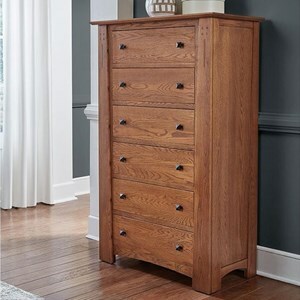 The natural wood grain of this piece gives it a unique look while the hammer tone textured drawer pulls and mortise and tenon joints offer a mission-inspired style. 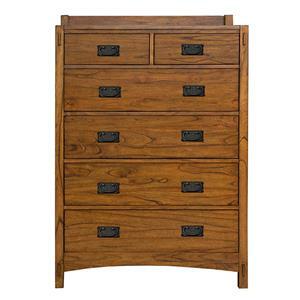 The bronze finish on the drawer pulls makes a bold statement to give your bedroom personality. 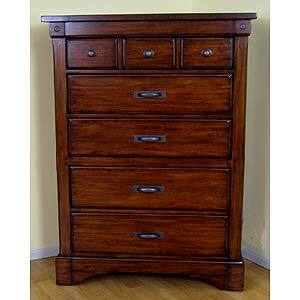 The Mission Hill Six Drawer Chest with Door Cabinet by AAmerica at Stuckey Furniture in the Mt. Pleasant and Stuckey, South Carolina area. Product availability may vary. Contact us for the most current availability on this product. Handles & Hardware Hardware features a hammer tone texture in an oil-rubbed bronze finish. Case Construction Mortise and tenon joinery. Mission meets modern in this whole home collection. Accents like mortise and tenon joinery, vertical slats, and dark, hammer tone textured hardware offer just enough arts and crafts appeal to give this group a traditional feel, while simpler frames with clean lines create an updated look to fit any modern home. 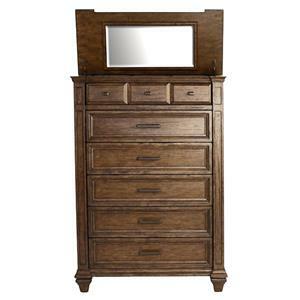 Pick and choose from a variety of beds and storage pieces to create the ideal master bedroom suite in your home. Find the perfect dining pieces to make hosting the holidays in your home even more memorable. 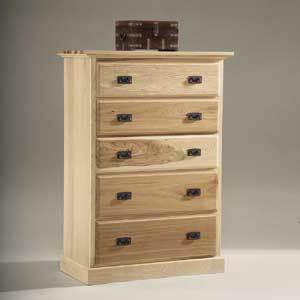 The Mission Hill collection is a great option if you are looking for Mission furniture in the Mt. Pleasant and Stuckey, South Carolina area. 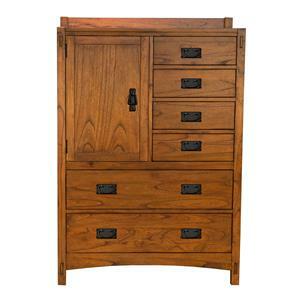 Browse other items in the Mission Hill collection from Stuckey Furniture in the Mt. Pleasant and Stuckey, South Carolina area.